How far would you travel for a great hamburger? Whether your final destination is reaching a renowned burger joint or you’re just pulling over for for a satisfying pit stop, burgers never taste quite so good as they do during road trips. The Outdoorsy community took a bite out of the best burgers in each state. These burgers stood out for being a great bargain for both their highly-reviewed restaurant atmosphere and for their quality ingredients. Add these great burger destinations to your itinerary. 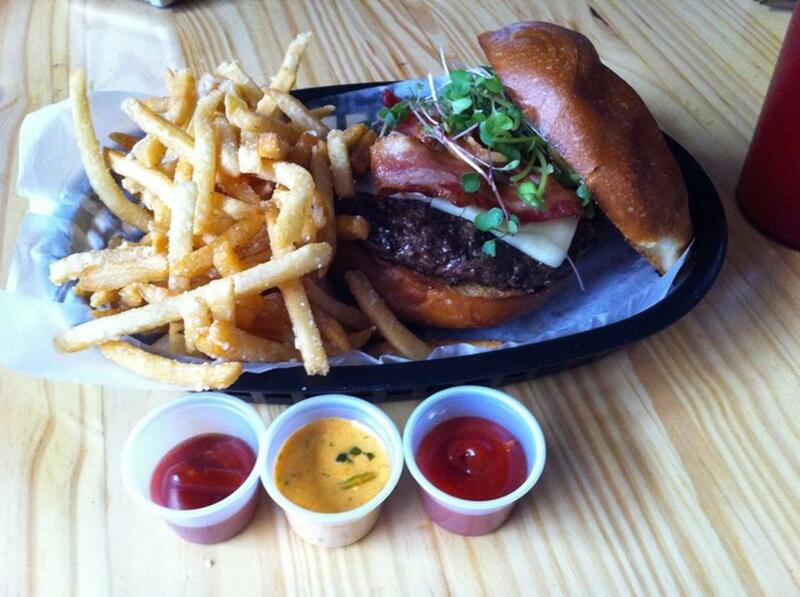 FLIP burger has redefined what a burger restaurant should be like. For one thing… they serve up Nutella shakes! The entire experience is modern and elegant, and that emphasis extends to the food. Renowned chef Richard Blais has created a menu of entirely unique burgers, like the “Mac n Cheese” burger or the shrimp-based patty. It’s so good, you won’t even mind the round-the-block lines when you go back again and again to try everything. Tommy’s burgers are deeply satisfying. USDA grade beef is packed with Cajun seasoning, packed into a toasted potato bun, and topped with mayo, crisp lettuce, fresh tomatoes, onions, and pickles. Most fill up with the standard 5.5 ounce burger, but if you’ve got more of an appetite you can also try the Philly cheesesteaks and po’boys. Part of why eating a burger is so therapeutic is because it forces you to slow down and celebrate one of life’s simple pleasures. This bar is a well-known spot for its funky, carefree attitude, not to mention its lengthy list of burgers including the Jalapeño Popper and PBJ & Bacon. David Alan Bubbus created David’s Burgers as a tribute to his father, David Bubbus Sr., who was a master butcher. Bubbus Jr. made sure that his burgers upheld the family name. The US Choice Chuck is proudly displayed in a butcher case at the entrance, and their burgers never includes trimmings or fillers. Santa Monica has seen a huge surge of interest over the past 18 years, now becoming one of the most sought-after neighborhoods in LA. But George’s Burger has stayed true to its roots, and continues to make affordable, delicious, and avocado-packed burgers for old school LA residents and recent transplants alike. Truffle fries. Loaded fries. Sweet potato fries. The fry baskets are huge here, definitely big enough to split between two or three people. With crispy ends, softer in the middle… Wait, was this a burger review? Try the El Chilango with jalapeño and guacamole. There are a lot of complex flavors on the burger menu, but the simple Cuban burger is a favorite among the locals. The saltiness of the ground pork and bacon, the spiciness of mustard, and the umami of cheddar & pickles all blend well together. This restaurant is two of our favorite things: farm-fresh and family-first. Good Stuff Eatery is known for its nostalgia-inducing handcrafted burgers, hand-cut fries, and hand-spun shakes. The Obama burger is a D.C. crowd favorite. Search for RV Rentals near Washington, D.C. Dining in Dover? Try to decide between Restaurant 55’s Lunch Counter Legend Burger or the epic Desiree Bacon Burger topped with jalapeño jack cheese & six pieces of bacon. Both are epic, but if we had to pick, we’d say you can’t go wrong with bacon. 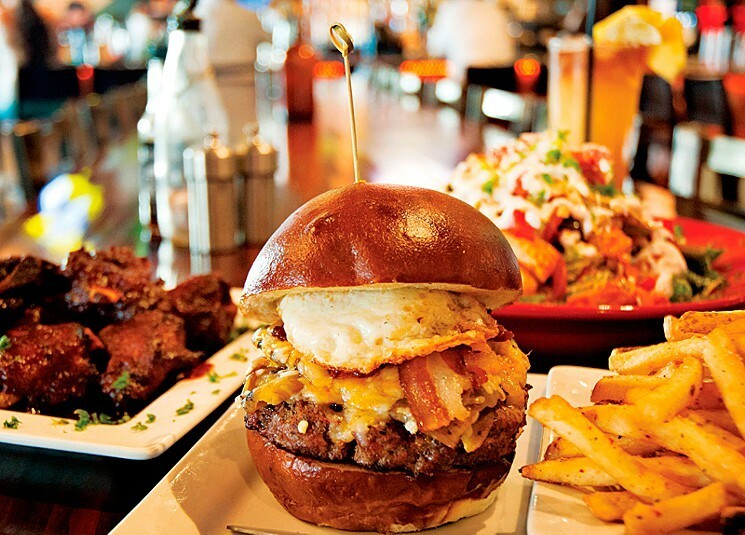 Known for its special Charm Blend beef patties and its overloaded burgers, Charm City has no bad options. Can’t decide which you love more – breakfast or burgers? Then you’ve got to try the Big Sloppy, loaded with double cheese, double peppered bacon, hash browns, and a fried egg all stacked up and ready for you to enjoy. In the mood for something spooky? 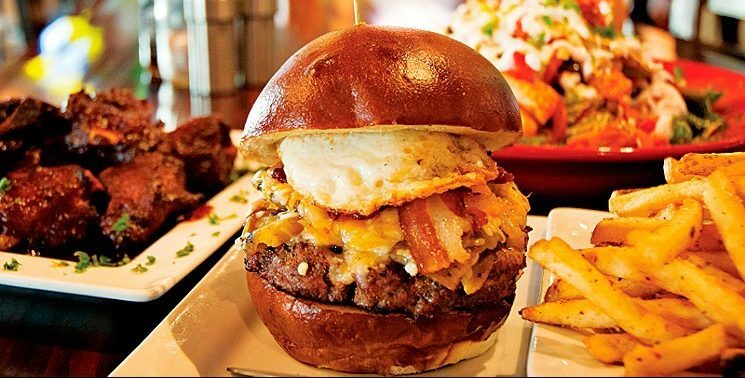 Try the Vortex Bar and Grill’s most devilish burger: the Zombie Apocalypse burger. It’s a sirloin patty served on Texas toast, topped with pulled pork, pepper jack cheese, two eggs over-easy, barbecue sauce, and a steak knife stabbed right through its soulless zombie face. Don’t forget to add tater tots! 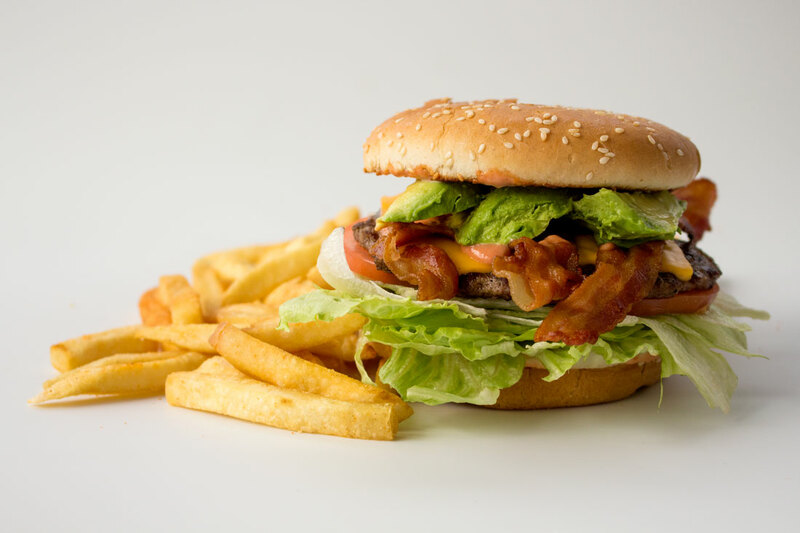 Maui’s 1950s style diner is known for its great classic burgers and delicious adult milkshakes. Try the open-faced Sh-Boom Burger: grilled sourdough, topped with chili, four kinds of cheese and sweet Maui onions. It’s worth eating with a fork. If you crave more of a good thing, Big Jud’s challenges you to down a 1lb or 2lb burger (plus fries and a drink) in record time to make it onto their Wall of Fame. Luckily, these burgers are both quantity and quality: there are “regular” and “double” sizes for less competitive burger lovers. Heavy metal music fan? Support the local thrasher community by enjoying the Pantera burger with roasted poblano peppers, topped with house-made ranchero sauce, cheddar, Monterey jack, applewood smoked bacon and tortilla strips. Working Man’s Friend has been in operation for nearly a half-century. The checkered tablecloths bring to mind the Indianapolis 500 and the straightforward quality and affordability has made this a favorite spot for the blue collar Indianapolis citizens. As far as roadside diners go, this one is worth the drive. Want something a little fancier? 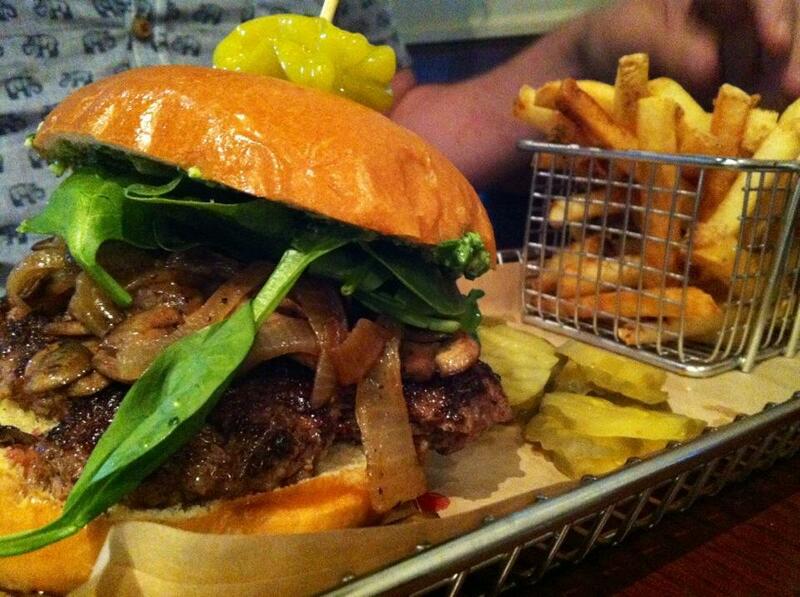 Try the Kobe burger with pickled red onion, truffle butter, tomato-aioli sauce, and seasonal greens. Take it one step further with classy truffle fries poutine-style …oh, and did we mention all the sauces that go with? 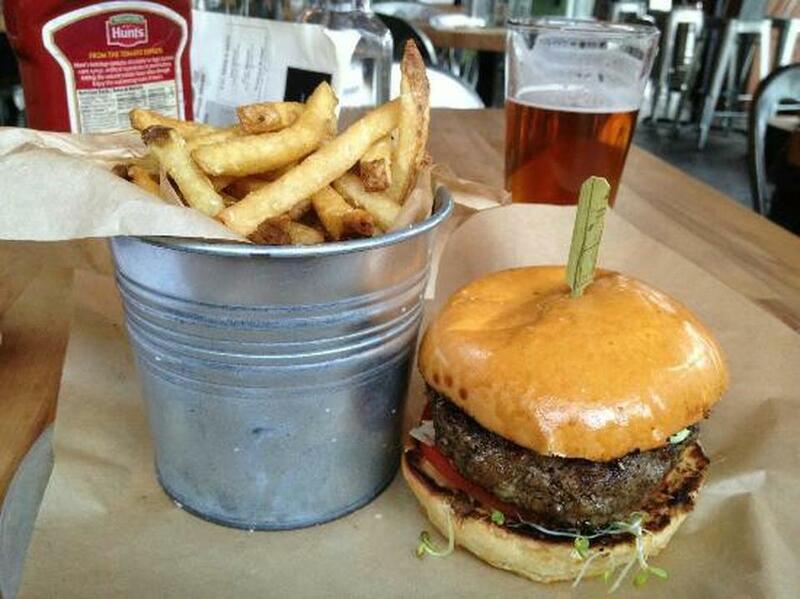 Proof on Main is known for its Proof Bison Burger with Tillamook cheddar, smoked bacon, and apricot Jezebel sauce. It’s a favorite of locals and visitors alike and definitely makes for a memorable experience. They say the New Orleans burger was invented here. If you’re not sure that that means, let’s just say they’re HUGE. They’ve got to be to fit a juicy half pound of fresh ground beef with a side of baked potato. Ask for chives and bacon bits for no extra charge. You will leave there full with praise for New Orleans. When your burger arrives on a mac and cheese bun, there’s not much more to say except “this is the best.” Then you find out the beef patty is from a local single-sourced pasture-raised grass-fed farm – what’s better than best? If you can pull yourself away from your food, you might notice the dude next to you eating a donut burger. Did you even imagine grilled donuts could be buns? Here you are encouraged to “make your own best burger” with a full page “build a burger” checklist of possibilities. If you decide to leave it to the experts, choose their specialty Baltimore Burger with angus beef, crab dip, applewood bacon, and cheddar served on a classic bun. Like onion? BBQ Onion burger is always a good option to be paired with their side of 50/50 fries & rings. Served fast and fresh, Tasty Burger earns its title as the Official Burger of the Boston Red Sox. Possibly the most “World Famous” burger on the list, tourists come from miles to sit down for the Miller’s Bar burger, the quintessential classic thick juicy bar burger served on a white bun in wax paper with melty cheese, ketchup, mustard, pickles, onions and absolutely nothing else. Don’t forget to help yourself to some pickles straight from the jar on the condiments tray. Minneapolis is known for the Juicy Lucy (two patties with a slice of cheese in the middle). You have Matt’s Bar founder Matt to thank for this Minneapolis legacy – Matt’s Bar, both a tradition and an institution, has been making them since 1954! Using only Missouri-grown grass-fed beef, there’s tons of memorable options on the menu. 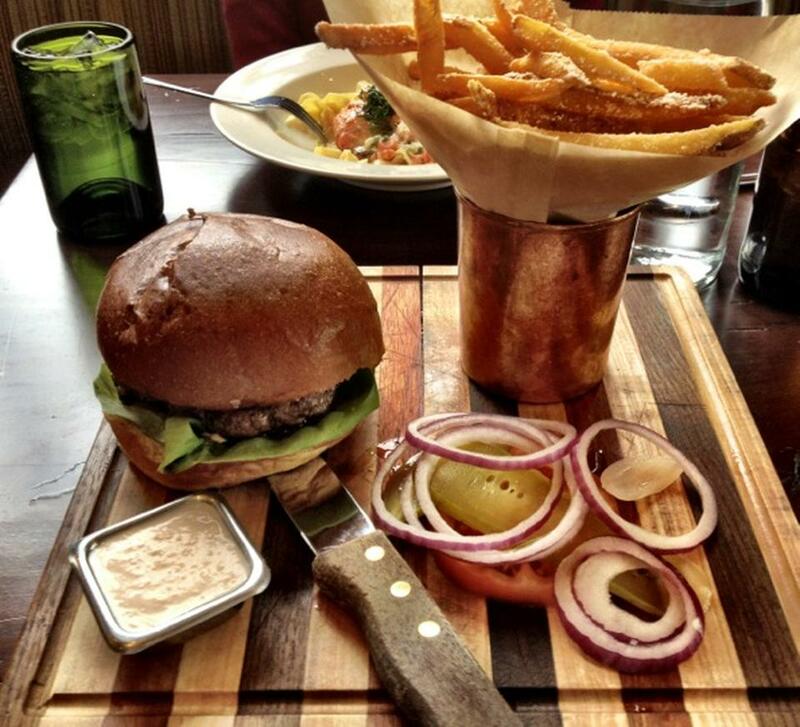 One standout is the Chop House burger with beef patty, steak sauce, bacon jam, smoked gouda, and rosemary cream cheese. Choose any patty on your choice of buns, including the beer bun, pretzel bun, or even gluten-free bun. Craving a local burger? There’s nothing more home-grown than lean Montana bison served straight-up. It’s so iconic that you only need to say “Bison” to order it off their signature burger menu. We recommend washing it down with a locally-brewed ale. Stella’s was named after Bellevue’s first tavern owner, a fierce self-made mom and creator of the “Stella Burger.” It’s a testament to its popularity that this restaurant is still going strong since 1936. You can’t go wrong with Stella’s Staple Burger, topped with cheese, bacon, and a fried egg, along with lettuce, tomatoes, pickles, onions, and real mayo. There are a lot of options in Las Vegas, but TV personality Gordon Ramsay might have the best burger. The guy must be famous for a reason, right? Cooked fresh over an open-flame wood-burning fire, Gordon’s UK burger with Dubliner cheese, Major Grey’s chutney, and arugula is not to be missed. Don’t forget to pair it with loaded fries. Lexie’s is all about peace, love, and burgers. We recommend the Green Munster Bacon, Avocado, Chipotle Aioli Munster with a side of bistro fries and fried pickles. So good! Who hasn’t filled a sack with White Manna burgers from Hackensack? Nearly every local in New Jersey seems to have already. You can always have one more of their acclaimed sliders. Santa Fe loves its chilis. Santa Fe Bite’s green chili cheeseburger will have you loving the heat. It’s surprisingly good even on a hot day. The lines are worth the reward. 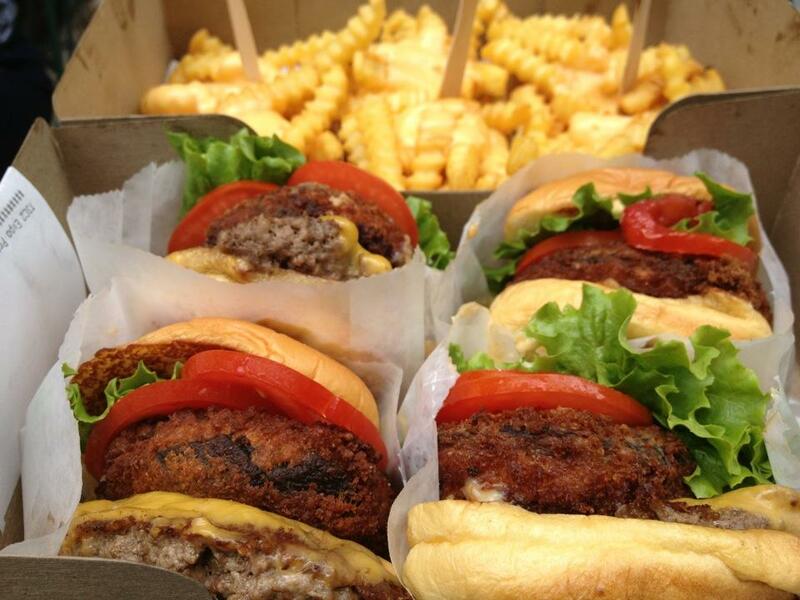 When you post up in Madison Square Park with a Shack Stack burger, fries, and a black and white shake, you feel like you’re on top of the town. Try the Shake Stack: a cheeseburger topped with crispy portobello mushroom filled with melted muenster and cheddar cheeses, topped with lettuce, tomato, and ShackSauce. The burgers come piled high with creative additions. The French onion burger is a must-have with caramelized onions, gruyere cheese, roasted garlic with French onion gravy on the side. Want an extensive burger menu with intriguing options as the Tater Tot Hot Dish Burger (topped with tater tots and comes with cream of mushroom soup), the Jalapeño Popper burger, or the Brunch Burger, a breakfast sausage patty topped with a fried egg, hash browns, American cheese, peppered bacon and a drizzle of maple syrup on a toasted ciabatta? 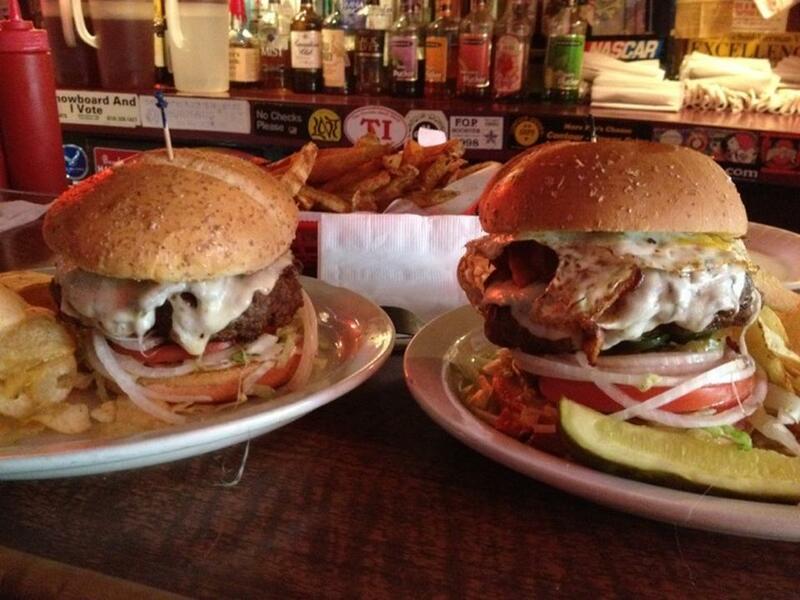 Look no further than Sickie’s Garage Burgers & Brews. Sent back in time to eliminate your hunger, here comes the Thurmanator burger. It’s composed of two 12oz patties with mayo, lettuce, tomato, pickle, banana peppers, bacon, cheddar, sautéed mushrooms, onions, ham, mozzarella and American cheese. Take on the Fat Guy Burger Bar Challenge. One two-pound patty, one pound of bacon, two 4oz hot dogs, eight slices of American cheese, lettuce, tomato, onion and your choice of condiment. All this on a one-pound bun, served with a side of a pound of french fries. You have one hour to eat it all. Portland residents enjoy the most local produce and meats per capita of any American city. So stock up on Little Big Burgers and experiment with an assortment of local cheeses and fresh veggies. Next, you’ll want to buy the whole farm. Whiskey and burgers? You have to try the Whiskey King with maple bourbon-glazed cipollini, Rogue bleu cheese, applewood bacon, and foie gras served with a side of duck fat chips. Sliders for starters, and then the “MOAB,” which appropriately stands for the “Mother of All Burgers.” Harry’s Bar serves a sweet bun with Harry’s Classic Cheese, hickory smoked bacon, portobello mushroom, and fried onion strings, paired with sweet fries and aioli sauce. Husk’s renowned cheeseburger grounds locally-sourced Benton’s bacon into its patty for a completely unique flavor. What’s their secret? While this restaurant takes pride in their burgers, they won’t hesitate to tell you how they do it – if you stop in for a bite. South Dakota – Black Hills Burger & Bun Co. When in doubt, go for the Buffalo Burger at Black Hills. 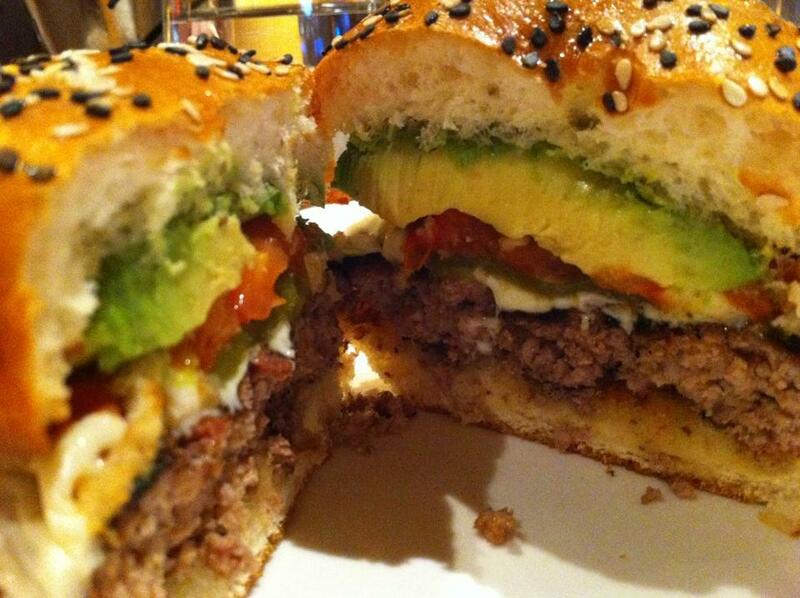 The buns are hand-made in-house, and the burgers are full of quality ingredients and abundant flavor. Need another recommendation? Go for the Fatty Smith and don’t forget the garlic sauce. When you arrive, head straight to the back to the Holding Pen Bar and taste the Oklahoma-inspired John T Edge burger, a classic onion burger with a hearty taste of Tennessee. Have room for more? Throw in some hushpuppies on the side with some red eye mayo. Ready for some finger-licking good times? Hopdoddy’s won’t disappoint. 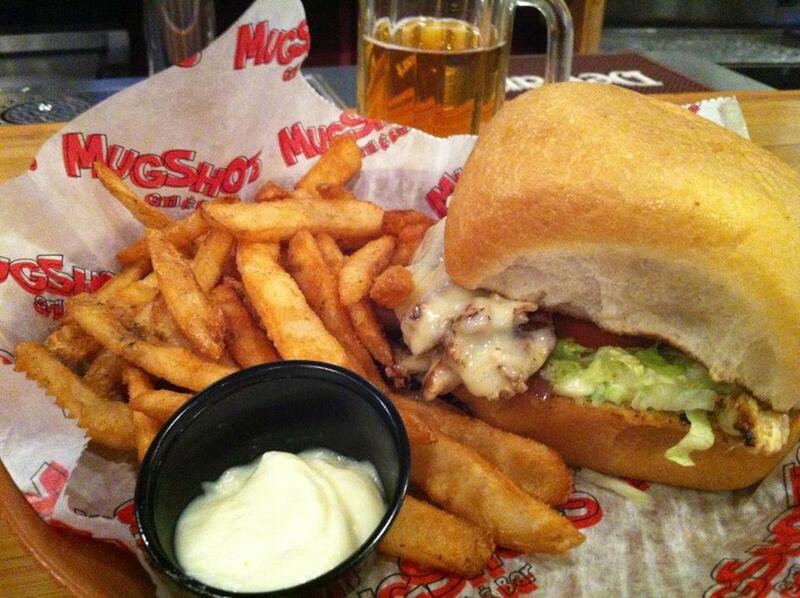 The beer is good and served in large quantities; the burgers and the fries are excellent. The queue goes fast so don’t be afraid if you’re waiting outside. Like a lot of spice? How about a 14oz spicy burger topped with roasted habaneros? If the habaneros alone aren’t spicy enough, Lucky 13 packs in roasted jalapeños, habanero puree, and caramelized onions, all held in place between two grilled cheese sandwiches. Want something other than beef? How about Turducky, a specialty burger made with Pasteur-raised turkey and duck confit. Lamb is also on the menu. Even Elmer Fudd would have trouble deciding which animal was in season, so might as well try them all. Want a kicker? Try the Fire Roasted Green Chile Cheeseburger served on a freshly baked homemade bun, with char-grilled, aged, hand-trimmed 100% Angus Beef burgers and your choice of special toppings. They call them “kicked-up” gourmet beef burgers for a reason. Bill Gates. Jeff Bezos. Kurt Cobain. Actually, the most impressive person to come from Seattle might be known as “Matthew,” the namesake of the Matthew Burger. This has grass-fed beef, gruyère, candied bacon, garlic tomato, and peppercorn sauce, all on a brioche bun. It’s ridiculously good. They’ve got it all: grass-fed sourced beef for omnivores and and grilled tempe burger options for vegetarians. Try the Poutine burger with fresh mozzarella, fresh cut fries, and brown gravy on a kaiser bun. Milwaukee is known for its butter burgers and Solly’s Grille is where it all began. The sirloin patty slathered with real Wisconsin butter and stewed onions is a piece of Milwaukee heritage and pride. 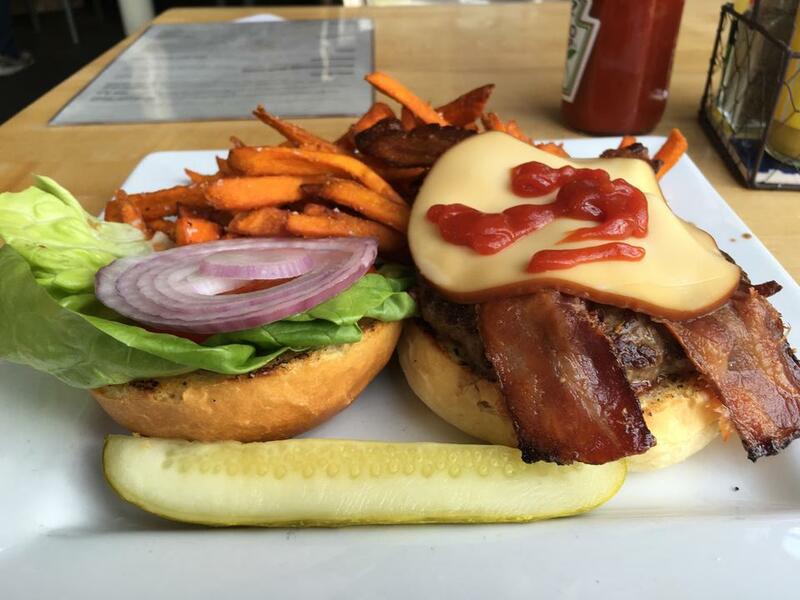 The Bison Burger is epic with local Durham Ranch bison topped with bacon, smoked gouda cheese, & chipotle BBQ sauce. And don’t forget, every Thursday is Cheeseburger Pie Day!